You saw the health warning right at the start: This page contains way too many popups, 13 in total to be exact. At least here you get a warning, unlike many other websites, where you have barely arrived on a page and they are already harassing you with special offers or requests to join the mailing list. Annoying behaviour like that is precisely the reason to write this article. 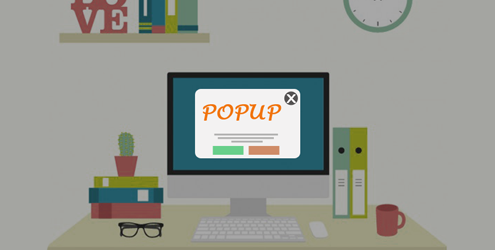 Popups are a powerful tool to get a user’s attention, but if their implementation is not thought through properly they will drive people away instead of attracting them. This article shows you the best features of the premium WordPress Popup Plugin ConvertPlug, which can be found here on CodeCanyon. The plugin allows you to position Popups of all shapes and sizes pretty much everywhere on a webpage, with a range of templates to choose from to get you started. The most powerful features are the trigger mechanisms, allowing you to show your Popup content either based on a timer, when the user scrolls to a certain part of a page or when a user wants to leave a page. This allows you to show messages to users at a time they are the most likely to respond. The plugin comes with an analytics dashboard to see what’s working and what’s not and a number of extra features to target different types of user behaviour, such as detecting new vs. returning visitors and connections from mobile devices. This article is a logical follow-on from the previous post about form plugins. A form will typically be shown once a user makes his own decision to click on a button or to visit a certain page. 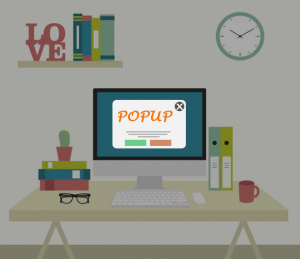 A Popup is a more active tool that can make that decision happen by getting his attention at a certain point in time. User engagement is an assessment of an individual’s response to some type of offering, such as a product, a service or a website. An individual’s degree of engagement may be determined directly through interaction or may be assessed through observation of the user’s behaviours. A website user, for example, might click links, comment, download documents and watch videos, among other possibilities. The problem with this definition is that the most important part isn’t included. And that’s what I would call the initial engagement. By initial engagement I mean the first few moments I spend on a webpage reading the content. The problem is of course that this part is difficult to measure because there is no clear action on my part that indicates whether I like the content or not. At the same time this point is absolutely crucial: In the next 60 seconds, I will subconsciously make my mind up about whether I like the content I am reading and the website as a whole. If I am a new visitor, I am also a little bit unsure and have to feel my way around the new surroundings. This is quite a delicate phase, any negative impression and I click myself away. So not really a moment to ask me to commit to something, yet you still find this behaviour everywhere. Unless spamming people is part of your business model, there is a very simple solution for this: Don’t do it. Let your content do the work, that is what it’s there for. In my opinion it pays to tread carefully at the beginning and to let your user come to you. With this in mind, let’s start with a short explanation of why we chose to review ConvertPlug here. There are of course free popup plugins available such as Popup Builder and Popup Maker, but their lack of controls for when they are triggered make them more part of the problem, not the solution. For the paid plugins on CodeCanyon, ConvertPlug comes about third among the best-sellers in the WordPress Popup category behind Ninja Popups and Layered Popups. The others look like great solutions too, but ConvertPlug looked like they had really well thought about the trigger points and targeting features. 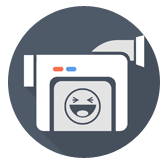 They all have live preview sites, so you can easily see which solution might be best for you. Enough talking, I want Popups now. Enough talking, I here you say, show me some Popups! Next, we have the so-called “sticky” formats, that leave a reminder when you close them. Now let’s show you the different triggers. Exit intent trigger: See it in action by trying to close the page or open a new browser tab. Integrated analytics panel to track the performance of your Popups. The plugin lets you create and track different variations of the same Popup so you can do A/B testing on different headlines for example. You can also show different content to returning visitors and have a cookie control setting that allows you to hide Popups a user has already seen or clicked on. For the popups in this article this has been disabled. There are a few additional features and add-ons that go beyond the scope of this overview. They are all outlined on the ConvertPlug website. There is however enough time for just 1 more thing: The video Popup: Just click on the image below. Kaarma assists small and growing companies in presenting themselves professionally online and in the real world. Feel free to contact us if you need help with the design or functionality of your WordPress website or if you have some other communication needs. Sign up to our newsletter below if you want to keep updated on the communication topics we cover.